Three more villages in Bassa Local Government Area (LGA), in Nigeria’s central Plateau State, have come under attack today, 14 March, as Fulani herdsmen continue their killing spree in the country’s volatile Middle Belt. The violence has claimed some 57 lives over the last two weeks alone. The assailants, identified as Fulani herdsmen, stormed the villages of Maifarin-Mota, Rafiki and Dung at about 6.30am, local sources told World Watch Monitor. They shot at random, causing panic among residents who, according to one World Watch Monitor contact, “are currently fleeing away right now, as I talk with you on phone”. About 10 people are missing, and the situation is very tense. Many properties including one church and 20 houses were set on fire. An army spokesman, Major Umar Adams, confirmed the attack, saying the military received a distress call from Rafiki and Dung, and sent men to the area. “I can’t give you an update until they return,” he added. Some believe the attack was triggered by the arrest, yesterday, 13 March, of four Fulanis with AK-47s, who were taken to the police headquarters in Jos, the state capital, according to Moses Bot, who lives in the Maifarin-Mota neighbourhood of Rafiki. 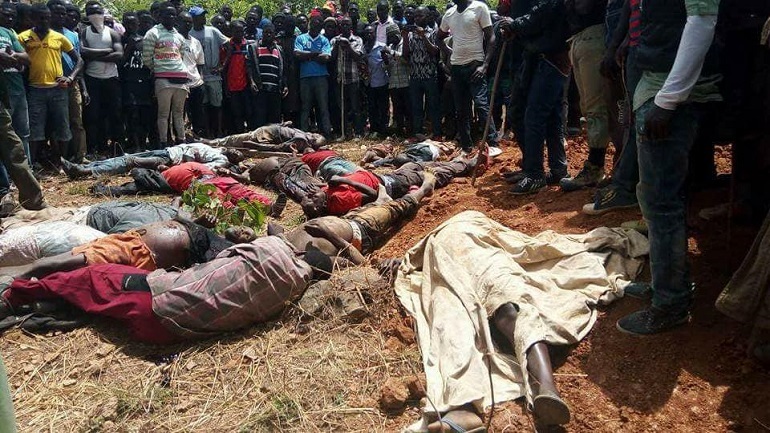 Meanwhile, at least 25 others were killed last night in an attack on Dundu village – in the Kwal District of the same Bassa LGA. The assailants raided the community for several hours, a local source told World Watch Monitor. The 25 known victims were buried in a mass grave in the village, while the search goes on for those killed in the surrounding bush. Last week (8-9 March), President Muhammadu Buhari visited Plateau to launch the state’s Roadmap to Peace, and to express the Federal Government’s commitment to support Plateau to achieve peace. But while the president was still in the state, the Fulani attacked two of its LGAs – Bassa and Bokkos – killing at least 32 people. The two attacks happened simultaneously on the first day of the president’s visit; one was on Miango village (Bassa), where five people were killed – Emmanuel Joseph, Christopher Joseph, Peace Joseph, Henry Audu and Illa Isa Peter. On that same day, 8 March, six people were killed in Ganda village – in Daffo District, Bokkos. 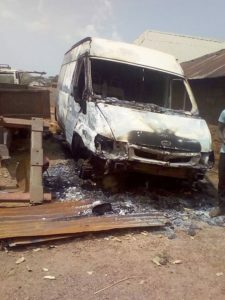 Jerry Datim, a pastor with the Church of Christ in Nigeria (COCIN), initially confirmed that six were killed and others wounded in the “unprovoked” attack, adding that some were still missing. He later said four more bodies were found in the nearby bush, bringing the death toll to ten, while more than 50 houses were burnt and several people injured and rushed to hospital. 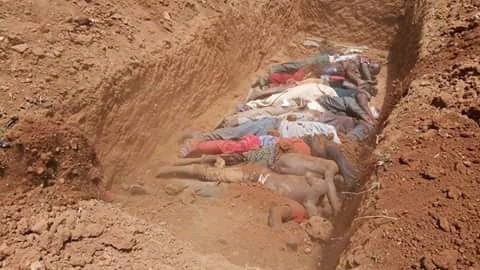 On 9 March, on the second day of the president’s visit, the Fulani attacked again, killing four schoolchildren in their sleep in another Bassa village – called Laake, part of Kwall District. That same day, the assailants also attacked other villages including Nghakudung, Morok, Hottom, and Wareng – all in Bokkos – killing another 13 people. Matawal Mangut, a resident of Ganda village who lost five relatives in the attack, lamented that his house was also burnt completely, so that “everything we ever worked for is completely gone”. An advocacy group in Bokkos has called on the Federal Government to end the cycle of violence. Addressing the press in Jos on Sunday, 11 March, Machan Makut, President of the Concerned People of Kulere, demanded more proactivity from government and security agents. “The reason for the attacks is not farfetched,” he said. “It is to intimidate us out of our land, so that they [Fulani herdsmen] can take over and perpetrate jihad in Plateau State, but we will not allow it. In January, at least 75 people were killed in a string of attacks by Fulani herdsmen on the predominantly Christian community of Miango, also in Bassa. In all, 14 villages were targeted, with 89 houses set on fire and vast swathes of farmland also destroyed by the assailants, who vowed to dislodge the natives. Up to 3,000 villagers sought refuge with their relatives in neighbouring communities. Miango had previously sustained another deadly attack in October 2017, as World Watch Monitor reported. Christian leaders have frequently accused President Buhari of not doing enough to deal with the Fulani violence. On 8 February, a delegation of the Catholic Bishops’ Conference of Nigeria expressed their concerns to President Buhari, saying the attacks were being carried out by “terrorists masquerading as herdsmen” and accused the government of being “incapable or unwilling” to protect citizens from them. During his visit to Plateau, Buhari commended the state governor, Simon Lalong, for “his effort so far at achieving peace”. Hon. Sunday Abdu, President of the Irigwe Development Association, comprising local farmers, told World Watch Monitor by telephone that the ongoing violence was specifically targeting members of his community. “In continuation [of] that avowed determination to eliminate the Irigwe race, the Fulani herdsmen have continually unleashed mayhem [on] communities: killing, maiming, burning, and destroying farmlands,” he said. Abdu said “this ugly scenario, which has continued unhindered, has left in its wake sorrow, tears and despair in Irigwe land, thus leaving the people homeless and hopeless, as they leave in droves daily to seek refuge in Jos and its environs. “We have cried to our security agencies to rise to the occasion, but it will interest you to know that some of the attacks occurred just a few meters from security checkpoints, but the soldiers would rather stay glued to these checkpoints, in spite of distress calls and offers of intelligence by our people. Abdu noted that: “Our situation and the seemingly lacklustre pro-activeness of the Federal Government in arresting the menace may have been compounded by the frequent claims by the Plateau State government that peace has returned to the state. This stance of government officials is indeed an insult on the innocence of rural dwellers, who have not known sleep in a long time, nor [been] able to carry out their farming activities. “This propaganda was reiterated glaringly during the recent presidential visit, when Plateau State should have used the long-awaited visit to tell the president the true situation of things as they have been.